"Our results show that sulfoxaflor"—one of the new class of insecticide—"can have a negative impact on the reproductive output of bumblebee colonies," said lead author Harry Siviter, a researcher at Royal Holloway University of London. "Sulfoximine-based insecticides are a likely successor and are being registered for use globally," Siviter noted. In 2013, the US Environmental Protection Agency (EPA) approved two sulfoxaflor-based pesticides for sale under the brand names Transform and Closer. "This study shows an unacceptable scale of impact on bumblebee reproductive success, after realistic levels of exposure to sulfoxaflor," commented Lynn Dicks, an Natural Environmental Research Council Fellow at the University of East Anglia. Conducting such research should be a "mandatory requirement" before pesticide companies bring such products to market, he said. For Nigel Raine, a professor at the University of Guelph in Canada who holds a chair in pollinator conservation, "the findings suggest that concerns over the risks of exposing bees to insecticides should not be limited to neonicotinoids." Newsflash: insecticides kill bees. Always have, always will, as bees are an insect. In the old days, spraying chemicals that are now banned, millions of bees died. Now, with systemics, millions of bees die. The colony collapse syndrome is not due to any single cause. In those countries where the imidacloprid has been banned for some time, colony collapse has not diminished. European Honey Bees suffer from parasites, viruses, and bacterial problems, usually all three at once. The causes of colony collapse can not be laid on the foot of any one thing. 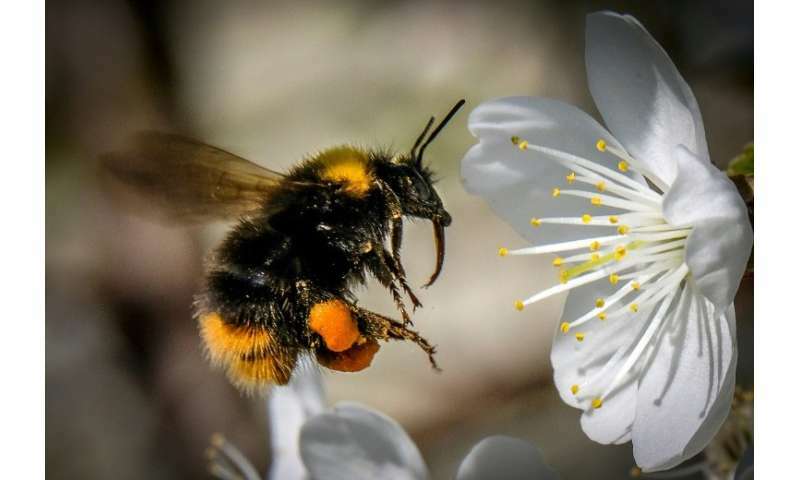 Farmers could help by planting strips of flowers that are not treated in any way, so the bees had healthy pollen an nectar sources, but they don't want to give up any crop production space. Bee keepers could use strains of bees that are more resistant to the pesticides, and stronger in general, but those bees are more aggressive. This problem will not be helped by removing one class of pesticides. the problems lochroma with your suggestions are that they do not address the insecticides and other chemical pollutants left behind, that saturate the environment. In addition to cumulative genetic and physiological damage leaving bee populations vulnerable to diseases, stress, colony failure to reproduce healthy offspring. And if a new variety of bee is successfully created? What happens when new poisons, new predators, new climate are all whipsawing the "improved' colonies?